AOL is slowly but steadily snatching up other online content providers. The company recently acquired influential technology news blog TechCrunch; it already owns online magazine Engadget. With TechCrunch’s 3.8 million unique monthly U.S. visitors, its ownership will lend AOL more tech credibility and allow for premium ad rates. It’s all part of AOL’s rebranding strategy from Internet service provider (ISP) to online media giant, although the company still makes 40% of its revenue from dial-up service and related subscriptions. 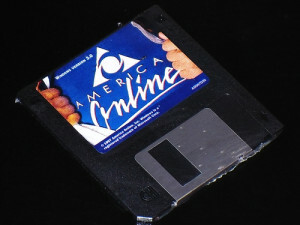 There are reports that AOL may continue to buy digital content providers and even traditional, print newspapers. “It is a possibility,” AOL Chief Technology Officer Alexander Gounares said. “Content is the one area on the web that hasn’t seen the full potential. Hopefully, we will spark a revolution of people doing content at a different scale,” said AOL CEO Tim Armstrong back in 2009. In the past couple of years, AOL has launched, bought, and/or revamped sites like Seed.com, Going, Patch, and online video company Studio Now in its bid to become a web media company. AOL also acquired […] 5min Media, a video syndication network, and Thing Labs, whose Brizzly family of Web-based social software allows users to create, share and explore content. It believes that social networking platforms, such as its Lifestream aggregator, will be one of many ways people will stay in touch and get content about family, friends and the local community. AOL paid $65 million for 5min, a reported $25-40 million for TechCrunch, and an undisclosed but smaller sum for Thing Labs. Image by RogueSun Media, used under its Creative Commons license.